Samaritan goes into hiding after the events of Eden's Fall. A year later, with a new president in the White House, she resurfaces, determined to take him down via his relationship with the largest military contractor in the world. Take down the company, the dominos will fall! And she has the means and a plan that just might work. How do you bankrupt one of the richest, most technologically advanced and successful companies in the world? You steal all their research and give it away to everyone. Can she survive long enough to pull it off with the entire US government trying to kill her? 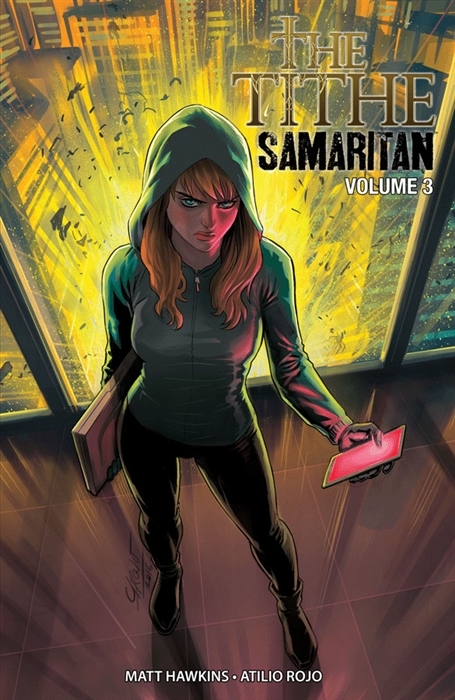 COLLECTS SAMARITAN #1-3 & EDEN'S FALL #1-3!